Headed to the gym or going out for a run? This athleisure full zip hoody from G34Her is your perfect workout style for those chillier days. The best parts about this hoody are the side front pockets, thumbholes at the cuffs, and the oversized hood. This hoody is offered in limited colors: heather grey, navy, royal, red, and green so your team is paired with the corresponding color. 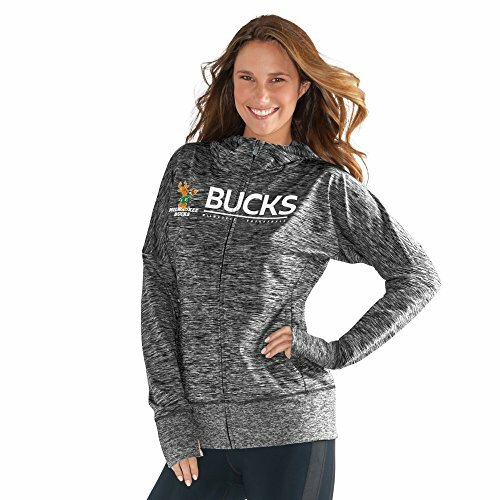 Work up a sweat, chill at the tailgate, or run errands while representing your favorite team in this hoody. If you have any questions about this product by GIII For Her, contact us by completing and submitting the form below. If you are looking for a specif part number, please include it with your message.